After weeks of heated media coverage and speculation over his future, sumo grand champion Harumafuji announced his retirement from the sport Wednesday to take responsibility for the Oct. 25 assault on wrestler Takanoiwa in the city of Tottori. 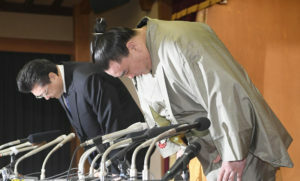 The 33-year-old top-tier yokozuna from Mongolia submitted a letter of resignation to the Japan Sumo Association earlier in the day through his stablemaster, Isegahama, in Fukuoka. What did you think of the BBC’s election coverage? The murder has received extensive media coverage. The wedding received extensive coverage in the newspapers. The TV station is trying to improve its coverage of local news. The visit has fuelled speculation that the pair are planning to get married. News of the president’s illness fuelled/prompted speculation that an election will be held later in the year. He was charged with sexual assault. He was charged with assault. An elderly woman was assaulted and robbed. He had attempted to sexually assault the woman. It’s in the top tier of private banks, which offer extraordinary services to wealthy clients. Her stable of authors included Julian Green, Eudora Welty, and Ken Kesey. During the 1950s, Sun Records’ stable of singers included Johnny Cash and Jerry Lee Lewis. At the time, senior members of the association were meeting to decide the official ranking of wrestlers for the first tournament of next year. “Today, I retired because I feel responsible for having injured Takanoiwa,” Harumafuji told a nationally televised news conference from Fukuoka. The towering wrestler then bowed deeply in apology without raising his head for about 30 seconds. The game will be televised live from Cincinnati. The match will be televised live (= shown as it is being played) on BBC Scotland. Picasso is a towering figure in the history of 20th-century art. Do people still have to bow to the Queen? They bowed to the Queen. Paul rose from his chair, bowed, and left the room. Several important politicians have had their reputations stained by this scandal. Harumafuji will not qualify to become a stablemaster after retirement since he has retained his Mongolian citizenship. Under JSA rules, only a Japanese citizen can obtain the right to become a professional sumo stablemaster. Harumafuji has reportedly admitted to assaulting Takanoiwa, 27, during a drinking event at a restaurant and bar in the city of Tottori. The meeting was also attended by other Mongolian wrestlers, including grand champion Hakuho, who reportedly tried to stop Harumafuji during the assault on Takanoiwa, who is also from Mongolia. Initial reports said Harumafuji struck Takanoiwa on the head with a beer bottle resulting in serious injuries, possibly including a skull fracture. However, Harumafuji told Tottori police that he struck with his palms, fists and a karaoke machine remote control device, media reports quoted investigative sources as saying. Only people over the age of 18 are qualified to vote. If you work for 16 or more hours a week, you may qualify for Working Families Tax Credit. Nigeria was the first team to qualify for the World Cup. She has lost her battle to retain control of the company. These plans encourage the elderly to retain their independence. We’re trying to recruit and retain skilled staff. She’s in hospital with head injuries after being struck by a car. A car struck the man trying to cross a major highway. She was struck in the back of the head by a ball that was thrown across the field. The fire resulted in damage to their property. The crash resulted in the deaths of 14 passengers. A sudden change in temperature will inevitably result in rain. She was admitted to hospital with fractures of both legs. He suffered/sustained multiple fractures in a motorcycle accident. He has a hairline fracture (= a thin broken line in the bone) of the wrist. During the news conference, Harumafuji refrained from detailing exactly what happened during the drinking session. His stablemaster Isegahama said Harumafuji is not supposed to discuss details because of the ongoing investigation into the case. Media reports have said the sport has a long history of senior sumo wrestlers using violence to bully their juniors in the exclusive atmosphere of a sumo stable. However, Harumafuji flatly denied that he had ever committed a violent act against other wrestlers or witnessed such incidents, when asked at the news conference. She called a news conference to give her side of the story. His jokes are funny, but sometimes he goes too far. Threatening legal action is really going too far. He was publicly rebuked for his involvement in the scandal. The teacher told me off for swearing. If you make your sister cry, you’ll get told off. Their teacher told them off for chattering in the lesson. The teacher told me off for talking again today. I’m going to get told off for being late. He flatly denied that he saw what had happened. He flatly denied being near the scene of the crime. The witness responded flatly to the judge’s questions. Harumafuji said he had decided to retire at a much earlier date, but did not make the announcement since the season’s sumo tournament had continued until Sunday. The scandal came to light after the daily tabloid Sports Nippon reported the assault on Nov. 14. The incident immediately caused a huge public outcry, having revived dark memories of repeated assaults by senior sumo wrestlers against their juniors. Stablemaster Tokitsukaze, whose real name was Junichi Yamamoto, was later sentenced to three years imprisonment because he had ordered the assault on Tokitaizan by the three wrestlers, who were also found guilty of related charges. In 2010, sumo champion Asashoryu, who is also Mongolian, retired from the sumo world following allegations that he had attacked a man outside a Tokyo nightclub. 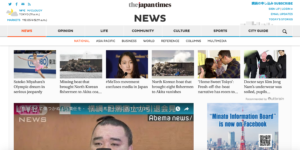 Media reports over Harumafuji’s scandal have further intensified since stablemaster Takanohana, once one of the most popular sumo wrestlers, formally filed a report on the violent incident with police on Takanoiwa’s behalf. Since then, he has refused to cooperate with the JSA’s investigation, which has perplexed many observers. Harumafuji made his debut as a professional sumo wrestler in Japan in 2001 and was promoted to the grand champion rank in 2012. He won 712 matches during his time in the top-level makuuchi division, the sixth highest number of victories. He also won the tournament championship nine times. Fresh evidence has recently come to light that suggests that he didn’t in fact commit the murder. My plants revived as soon as I gave them some water. A hot shower and a cup of tea will revive you. Traditional skills are being revived. She tried to revive the unconscious woman. Plans to tear down the old courthouse led to a public outcry. Fighting around the capital has intensified in the last few hours. 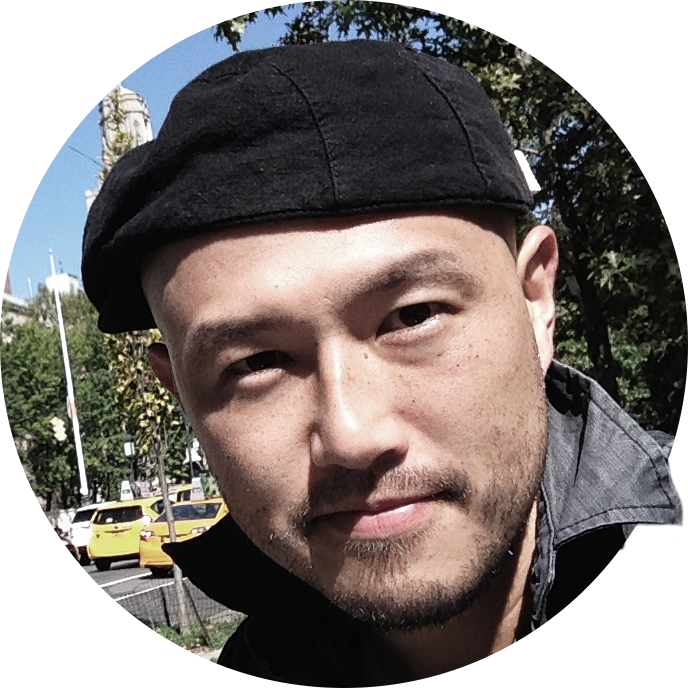 He intensified his training, running 45 miles a week. The family has filed a lawsuit against the company. The police filed charges against the two suspects. A solicitor issued a statement on behalf of the victim’s family. I’d like to say on behalf of the whole group that we wish you well in your new job. The disease has continued to perplex doctors. The symptoms of the disease have continued to perplex her doctors. Cooper made his debut at Covent Garden in 1989. He started as an actor, making his debut as a director in 1990. She made her professional stage debut in Swan Lake. Cassavetes made his film debut in “Taxi” in 1953. Steve Burrows was recently promoted to senior group manager. In 1982 he was promoted to the rank of sergeant. If I’m not promoted within the next two years, I’m going to change jobs. She‘s just been promoted to senior sales rep.